WASHINGTON—In the hours after subpoenaing the Trump Organization for a wide-ranging batch of files possibly germane to the investigation, sources confirmed Thursday that Special Counsel Robert Mueller was already exhausted trying to find Russia-related documents amid thousands of harassment lawsuits. “Oh my god, how many of these could there possibly be?” said a visibly weary Mueller, shoving aside another stack of papers containing only a single email exchange between a Trump Organization employee and a Russian businessman amongst dozens of out-of-court settlements of sexual misconduct suits filed against Trump. “I thought I was finally done with all of the lawsuits women have filed against him after the reams of documents concerning the Jill Harth sexual harassment case, but no—Here’s another stack from the [Summer] Zervos defamation suit. 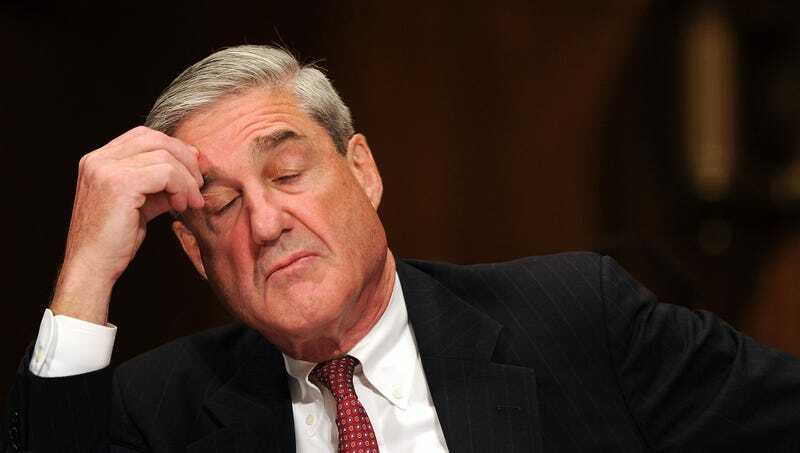 If I keep having to rifle through tens of thousands of pages of victim statements regarding suggestive remarks, corroborating eyewitness accounts of unwelcome contact, and lists of times that Trump slandered his accusers, all to find one damn thing I can use in my investigation, this is going to take forever.” Mueller admitted he was concerned about being thrown completely off the trail after going through eight straight file boxes of sexual harassment complaints filed by Trump Organization employees alone.